David Bartram graduated from University of Nottingham with an MSc in Management Studies in 2006. 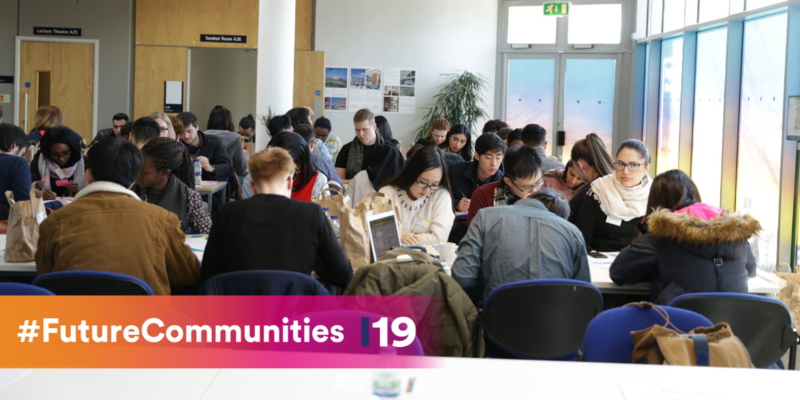 He’s now Director of Ventures at UnLtd, and returning to his old campus to deliver a session on the future of social innovation for Ingenuity19’s Future Communities Summit. We are living through a time of great social and economic change, driven by globalisation and technological advancement. Religious and cultural tensions, demographic pressures, immigration and displacement, and growing economic inequality mean many people and places feel left behind. These problems are far from going away, in fact they are becoming increasingly entrenched in our society. So much so that the government and third sector are constantly playing catch-up in how they tackle some of these deep-rooted societal challenges. Old models for creating positive change or attempting to undo the harm that is being caused, are not working. We need new models for operating. System level changes that tackle the inequalities and disparities we see in our society head on. Social Innovation offers exactly that. Social innovation is the development and implementation of new products, services and models to meet social needs. This can be as diverse as fair trade, sustainable production techniques, providing access to employment for those distant from the labour market, urban farming, waste reduction or restorative justice. Social innovation can come from individuals, groups and associations, the non-profit or public sectors, or from corporates. The key distinction between social and other innovations in our market is that it turns today’s prevailing business model of maximising short-term profits for shareholders on its head. Social innovation, whether that is led by social entrepreneurs, are mission-led or purpose-driven businesses, or define themselves as a social enterprise, are distinct in that they are focussed primarily on the creation of social impact. This is not about accounting for all the negative externalities that are created and developing a CSR agenda, it is about creating business models that are sustainable, profit-generating, but fundamentally which create positive externalities in our society. We need new waves of social innovation to develop if we are to overcome some of our deepest-rooted societal challenges. This is likely to be driven from the ground up, relying on the power and brilliance of social entrepreneurs across the country. Both in developing their own business models to create change, and in doing so influencing how corporates view their role in society to create positive change. If you’re interested in social innovation, and have an idea for a scalable business that can achieve worthwhile social impact, make sure you register for Ingenuity19. Our programme will provide you with all the inspiration and development your idea needs to become a financially sustainable, investable product. 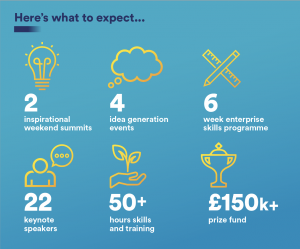 Plus, there’s an £150k+ prize fund, and investment opportunities, at the end of the Ingenuity19 programme, that can elevate your business to the next level.